A meeting to resolve acute water crisis in Kalimpong town was held at Kalimpong SDO office today.The meeting which started at 11 am lasted for about 2 hours. 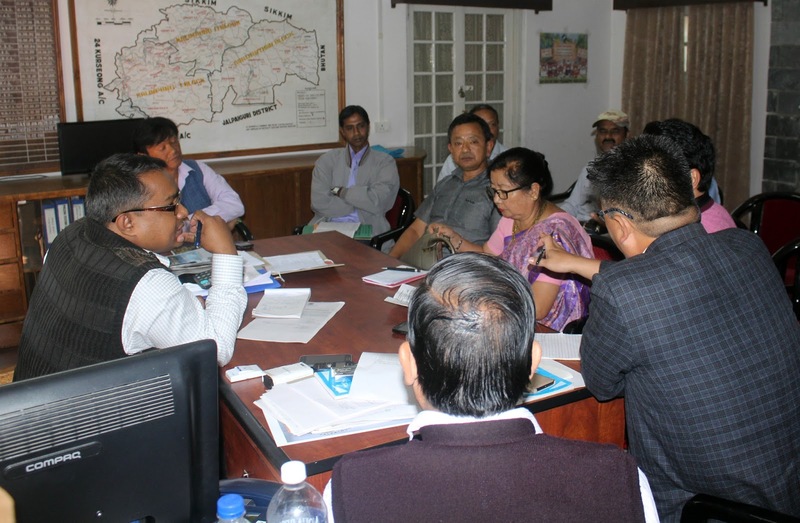 The meeting was chaired by SDO Kalimpong Nirmalaya Gharami along with representatives of MLA Kalimpong Topden Bhutia, Kalimpong Municipality Chairman Ganga Maya Gurung along with water supplying department official and distribution department officials. assisted by Rajen Pradhan Superintendent Water Works, TK Subba from Neura ,Madan Rumba from Kalimpong Municipality. 3 months time. Adding,he said the Neura water maintenance division today has agreed to supply 7 inch of regular water to Delo Civil Lake after which the PHE can distribute water every alternative day added SDO Kalimpong. Meanwhile, a senior Neura official said it has been decided we will supply 7 inch of regular water to PHE. He said sometimes breakages in lines may disrupt water supply but we are supplying them water normally he added. Anil Chhetri Executive Engineer PHE Department Kalimpong said we received 7 inch of regular water from Neura then we will be able to distribute water every alternative day. If Neura supplies 7 inch of water, it makes around 3.5 lakhs gallon and PHE has their own source from Thukchuk which gives about 5-6 inch of 24-hour water to Delo Civil Lake. Approximately 6-6.5 lakhs gallons of water starts to come then alternate day water supply is possible. 0 Respones to "Four-member team to review water crisis situation"